The CMS proposed a rule late Friday aimed at giving states more flexibility in stabilizing the Affordable Care Act exchanges and in interpreting the law's essential health benefits as a way to lower the cost of individual and small group health plans. In the 365-page proposed rule issued late Friday, the agency said the purpose is to give states more flexibility and reduce burdens on stakeholders in order to stabilize the individual and small-group insurance markets and improve healthcare affordability. The CMS said the rule would give states greater flexibility in defining the ACA's minimum essential benefits to increase affordability of coverage. States would play a larger role in the certification of qualified health plans offered on the federal insurance exchange. And they would have more leeway in setting medical loss ratios for individual-market plans. "Consumers who have specific health needs may be impacted by the proposed policy," the agency said. "In the individual and small group markets, depending on the selection made by the state in which the consumer lives, consumers with less comprehensive plans may no longer have coverage for certain services. In other states, again depending on state choices, consumers may gain coverage for some services." However, the CMS acknowledged it's unclear how much money the new state flexibility will save. States are not required to make any changes under the policy. The CMS urged states to consider the so-called spillover effects if they choose to pick their own benefits. These include increased use of other services, such as increased used of emergency services or increased use of public services provided by the state or other government entities. The agency in 2017 proposed standardized health plan options as a way to simplify shopping for consumers on the federally run marketplaces. The CMS said it would eliminate standardized options for 2019 to maximize innovation. "We believe that encouraging innovation is especially important now, given the stresses faced by the individual market," the proposed rule states. The CMS proposes to let states relax the ACA requirement that at least 80% of premium revenue received by individual-market plans be spent on members' medical care. It said states would be allowed to lower the 80% medical loss ratio standard if they demonstrate that a lower MLR could help stabilize their individual insurance market. The CMS also said it intended to consider proposals in future rulemaking that would help cut prescription drug costs and promote drug price transparency. The Trump administration hopes to relax the ACA's requirements and provide as much state flexibility as possible through administrative action, following the collapse of congressional Republican efforts this year to make those changes legislatively. The proposed rule comes after months of calls from health insurers and provider groups for the federal administration to help stabilize the struggling individual insurance market. 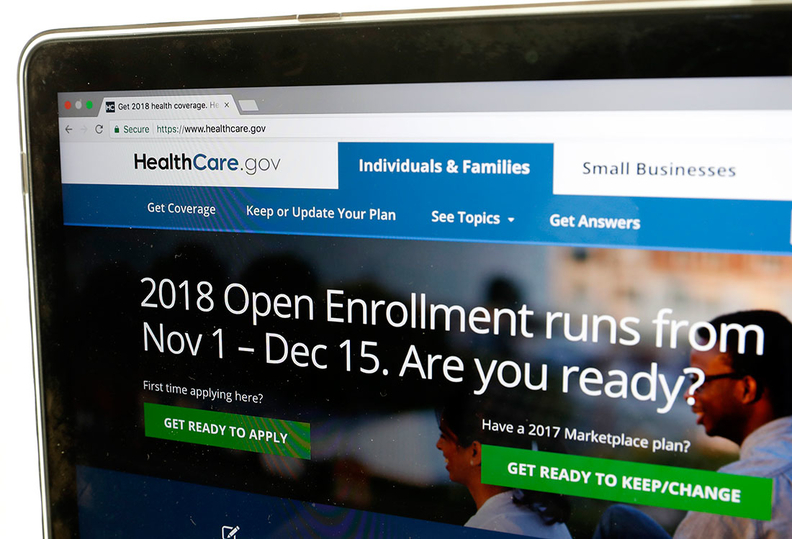 The fifth ACA open enrollment is slated to begin Nov. 1, and experts have predicted fewer sign-ups in the wake of a series of actions by the Trump administration to undercut the exchanges. In the proposed rule, the CMS also proposes to exempt student health insurance from rate reviews for policies beginning on or after Jan. 1, 2019. The CMS said student health insurance coverage is written and sold more like group coverage, which is already exempt from rate review, and said the change would reduce regulatory burden on states and insurance companies. The ACA requires that insurers planning to increase premiums by 10% or more submit their rates to regulators for review. The CMS proposed to increase the rate review threshold to 15% "in recognition of significant rate increases in the past number of years." The rule also tweaks a requirement that enrollees need to have prior coverage before attempting to get coverage via special enrollment after moving to a new area. Under the proposal, a person who lived in an area with no exchange qualified health plans will be able to obtain coverage. An edited version of this story can also be found in Modern Healthcare's Oct. 30 print edition.